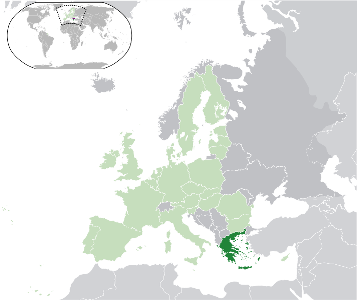 Greece a country situated in the South Eastern corner of Europe. It was not one of the founding members of the Eurozone but was the first extension, joining on 1st January 2001 before coins were issued but after the formal creation of the Eurozone in 1999. As Greece joined so shortly before coins were due to be issued it was unable to mint sufficient coins for 2002 and some of the Greek coins for 2002 were minted in other EU countries. See Greek-Euro-coins for the details. Prior to the Euro the official currency was the Drachma. The conversion rate to the Euro was set at 340.750 to 1 Euro on 1st January 2001. 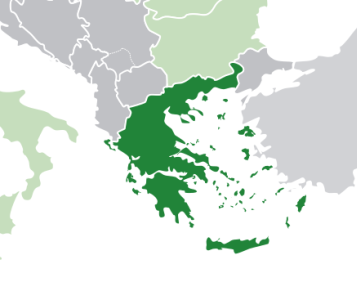 For more information on Greece,try this link. Return from Greece to Greek Euro Coins.